Come by our office and discover just how we provide hometown reliability, or simply click on the subjects on the menus above and at left. Each link will take you to another section of our site with more detailed information about our electric, water, wastewater collection, internet, and natural gas transportation utility services. Use the Site Map link for a complete listing of all pages on the site. The mission of Marshall Municipal Utilities is to provide reliable utility service for our owners at the lowest reasonable cost; to maintain and operate facilities that will assure safe, dependable electricity, potable water and wastewater treatment, giving due consideration to conservation and environmental impacts; and to plan for the future to assure adequate resources with progressive but sound economic reasoning. MMU now has several tools available to analyze your homes energy efficiency. There is a home energy calculator as well as appliance, lighting, and television energy use calculators. There is also a home energy reference section that allows you to explore energy information and tips. There is even a section called the Kid's Korner - which is fun for adults too! The International Society of Arboriculture website has lots of good information about trees. On their site, there is a link to TreesAreGood.com, a site that will give specific information on planting trees around utility lines. Be sure to check out our Energy Conservation tips page. Not only will you be helping the environment, you will be saving money on your utility bill! MMU could use your help! If you spot an electrical problem that needs our attention such as a street light being out, go to our Problem Report Form to let us know about the problem. It is a very simple form where you can describe the problem and email it to us. 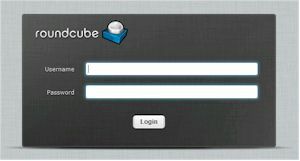 Customers of our Internet Service can get to their email from any internet connection through a web based system called RoundCube. To get to your email, enter your entire email address in the Username field, and then enter your password that was established when you signed up for the account. One of the newest features of our website is the ability to see your Electric Meter Readings on a daily basis. You will need to get the 8 digit serial number from the back of your meter. You can then see your daily electric usage. The map below shows our progress installing fiber throught the town, and will be updated as more areas are completed. It is color coded to reflect how close each area is to completion. If the area is green, all the splicing is done and we just need to plug in the fiber and do the installation at the customer's house. If it is yellow, there is one location that needs to be spliced. If the area is red, there are two locations that need to be spliced. Areas with no shading require more than two splices or no fiber has been installed yet. Splicing at a location typically takes a day if we have the proper equipment available (not being used on power lines). Click on the image for a larger view. This web site was designed as a service to provide the public with information about our company. We are always striving to improve the quality of information and services available. Please feel free to contact us with any opinions or concerns you may have.